Post subject: Re: What have you been watching? This is also a reason why Laserdisc so great is! Arrived today Ladyhawke (1985)  enjoying this Richard Donner film. 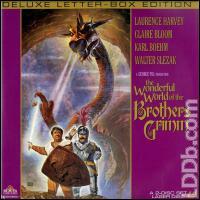 Magical adventure love story, how I missed this underneath my radar in the 80's? Picture transfer of cinematographer, Vittorio Storaro, framed in 2.35:1 is fine detail for the laserdisc format with colours are nice and stable. Arrived today Time to Kill, A (1996) Dolby AC-3  gripping drama suspense and performances. The A/V Quality is Superb! Video is quite decent though it appears to be cropped, nice sound. Paying tribute to Sir Roger Moore, my favorite Bond in my favorite Bond film. The laserdisc is just way more picture colour sweet as is the PCM uncompressed Dolby mix of this classic, "STAR TREK" adventure film. Revenge is disc best served on laserdisc. Get those ICs repaired Mr. Scott. Every time I see this movie i enjoy the overall mood. 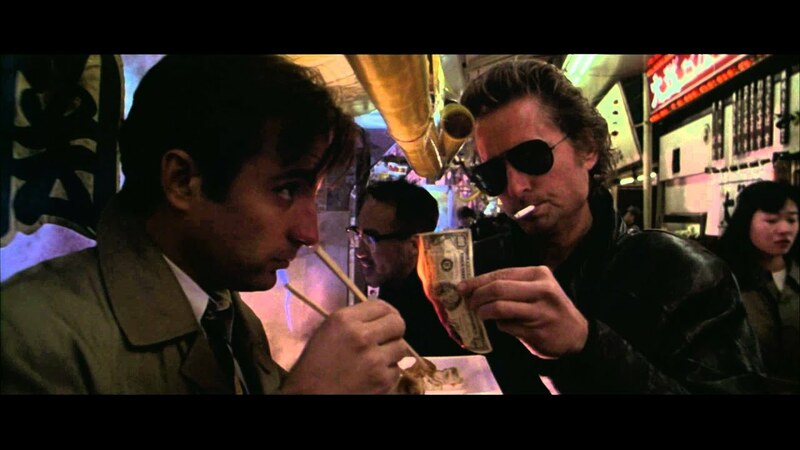 Michael Douglas and Andy Garcia are damn good actors! Too bad that Charlie dies so early in the film. For me, Black Rain is definitely an evergreen. To be quite honest I've seen the movie for the first time and I like it very much! It was nice to see that Hendley (James Garner) took care of Blythe (Donald Pleasence) after being almost blinded by the Moonshine. A very emotional scene was when the semi-blind Blythe was shot from behind. Superb Kingpin, screenshots from your equipment I presume? That's the magic of Laserdisc/CRT.! I got the picture from the Internet. When I watched a movie, I always took a screenshot of my TV. But i don't do that anymore. Maybe I'll do it again in the future. Not much to say, it is an absolutely wonderful film. 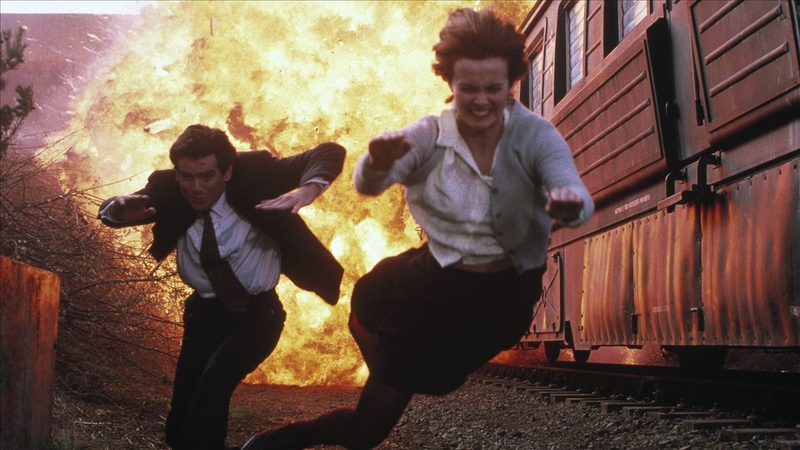 Goldeneye is not only a Classic, it's also my Favorite 007 Movie. The Audio & Video quality on this release is absolut Fantastic. Holy smokes, the AC-3/THX version is Loud! You do realise that what you are seeing and what you complemented is most likely a HD image from the Blu-Ray. I have never seen before a movie filmed in the Cinerama process yet I have already seen a movie in the equivalent Soviet Kinopanorama. The viewing experience in Cinerama (or Kinopanorama for that matter), especially in dynamic scene such as the horse-dranw coach chase in the German forest, is absolutely stunning. A pity there were not very much movies filmed in this process. The whole movie itself is a joy to watch through. A charming fairytale with milestone moments such as the elves scene or the beautiful heart-whelming final climax. Such a shame PQ of this LD release is not that great. This masterpiece of cinematic history deserves better. Pioneer LD-V4300D - Panasonic Quintrix TX-32PM11F CRT PAL and NTSC calibrated.